You practically need a scorecard to keep track of the revolving group of Chief Executive Officers (CEOs) that have come and gone from Nashville-based Thiel Audio. The specialty speaker company has had five CEOs in four years – leading to an unending series of disjointed actions from a disconnected group of high-powered executives, each with their own vision of where to take the company. In some respects, we already see a difference in Thiel under McKenna’s control. For example, the announcement of her hiring was distributed on one of the most respected newswire services. In the past, the company has been known to not even publicly announce their CEO, or announce them belatedly, months after they were actually on the job. Now, the announcement is clearly and widely communicated…a positive indicator of potentially greater transparency. This new effort by the company was likely a result of the fact that new CEO Elyse McKenna has a fairly extensive marketing background that includes stints as a publicist. Like previous Thiel CEOs, McKenna has no specialty speaker manufacturing experience, but she has experience in launching start-ups and, as we mentioned, extensive marketing experience – including consumer market analysis. We would eventually learn that not only is the company showing signs of being more transparent, they are also adopting a more focused brand strategy, and a greater clarity of purpose. Although not everyone will cheer some of their decisions, as the company is clearly moving away from its audiophile roots to more of a mainstream audience. After seeing the announcement, we immediately reached out to the company’s media rep to arrange an interview with the new CEO. We were quite pleased when the interview was immediately set up – another positive indicator of a more accessible posture for the previously tight-lipped company. A telephone interview with McKenna was set up for the next day. We found Ms. McKenna to be friendly, personable, confident, and quite articulate. There was a refreshing lack of bluster, although McKenna conveyed a strong, confident posture…she’s no pushover. She did not shy away from any of our questions, including the tough ones. Nor did she attempt to “rewrite history” when we confronted her with our take on some of the company’s past mistakes. Instead, she was clear-eyed about what the company has done right…and wrong…in the past. She also appears to have a good perspective on what she knows, and what she doesn’t. Unlike other executives we’ve interviewed, there was no attempt to fudge knowledge where it didn’t truly exist. Perhaps because of her publicity background, she was quite effective at steering the conversation back to topics more in her wheelhouse…even when confronted with a fairly experienced interviewer. McKenna originally joined Thiel in March of this year, brought on as Director of Strategic Partnerships. 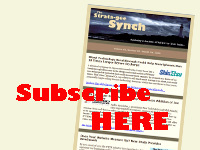 Strategic partnerships? What exactly does that mean? Prior to joining Thiel, McKenna was at Applauze, a direct-to-fan ticketing platform, where she was in charge of business development. Before that, McKenna was in charge of business development for Crowdsurge where she oversaw various ticketing and marketing campaigns, among other duties. And prior to Crowdsurge, McKenna was the Nashville representative for Topspin Media, a direct-to-fan sales and marketing platform. Earlier in her career, McKenna founded Welcome Mat Entertainment & Modern Family Music where she managed various music acts, including rapper Young Buck. And prior to that, she held a series of other positions with a variety of companies with responsibilities including website development and other marketing and publicity positions with different Nashville talent agencies. McKenna told us that she “was always drawn to the Thiel name” with its long 40-year history, as it was a nice contrast to her experience at start-ups and that long history was something “that was very compelling to me.” Not only that, but she tells us her family is from Kentucky, and was aware of the fact that Kentucky was also the original home for Thiel, until a private equity group headed by David B. Griffen purchased the company from Kathy Gornik back in 2012. It has been a turbulent path for Thiel since the acquisition, with the company whipsawing between five CEOs over that period of time. We asked the latest CEO, where did her predecessors fail…what is she going to do differently? “I wouldn’t say any of them failed,” said McKenna with a touch of defiance in her voice. “I think they all had different missions and priorities. For me, at the end of the day, it’s my interpretation that we lost sight of the fact that we are a speaker company…that is what we do. Any decision we make, any direction we go in needs to point back to that. What Thiel’s new CEO is very clear on is the need for the entire team at Thiel to remember their roots…they are a loudspeaker company. “This is the foundation that the company is built upon,” she told us. So the challenge moving forward is to continue to innovate, but in new more contemporary ways to meet the demands of today’s marketplace. To that end, McKenna said that Thiel is about to roll out their integration with Amazon Alexa voice technology and new design plates for their Aurora by Thiel wireless speaker line. (Thiel’s new line of wireless Aurora series speakers offer changeable trim plates to allow consumers the ability to have a more personal design.). Thiel made the decision a couple of years ago to launch a live-streaming Ultra HD live music studio in Nashville that would serve to draw attention to the brand and provide a bit of a showcase for its products. The idea was to try to create a new music-connected brand identity consistent with the fact the company was now based in Nashville, aka Music City. This Ultra HD studio was an incredibly expensive undertaking that, in our opinion, only served to muddy the water and add confusion to the company branding, as the studio was not called Thiel…but rather, Aurora. 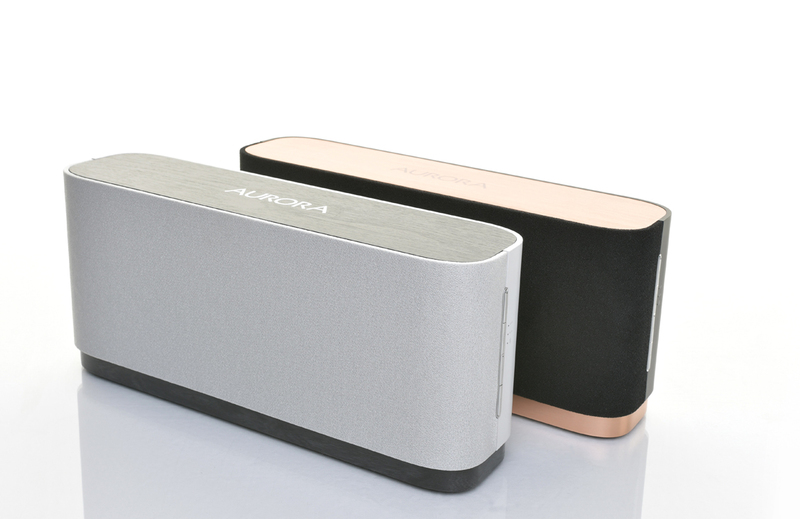 Further complicating matters, the company launched two new wireless speaker products also called Aurora (Aurora by Thiel) – a system targeted for the home called the Aurora Home ($899 MSRP), and another portable model called the Aurora Tour ($599 MSRP). These were also promoted at the Aurora studio. 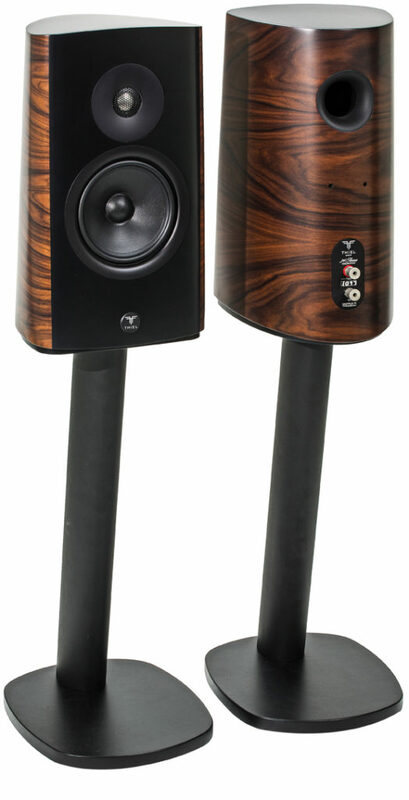 The company also still had Thiel branded products – including a new 40th Anniversary series designed for the audiophile market, but its products were shown alongside Aurora branded speakers at the Aurora studio. Eventually, the studio took on a life of its own as the company turned to live-streamed events in conjunction with record companies and other music production companies, trying to build its audience. The studio was likely bleeding money, all in the name of indirectly promoting Aurora…and even more indirectly promoting Thiel. So McKenna brought the situation into focus…the Aurora studio has been rebranded as the Thiel Studio. 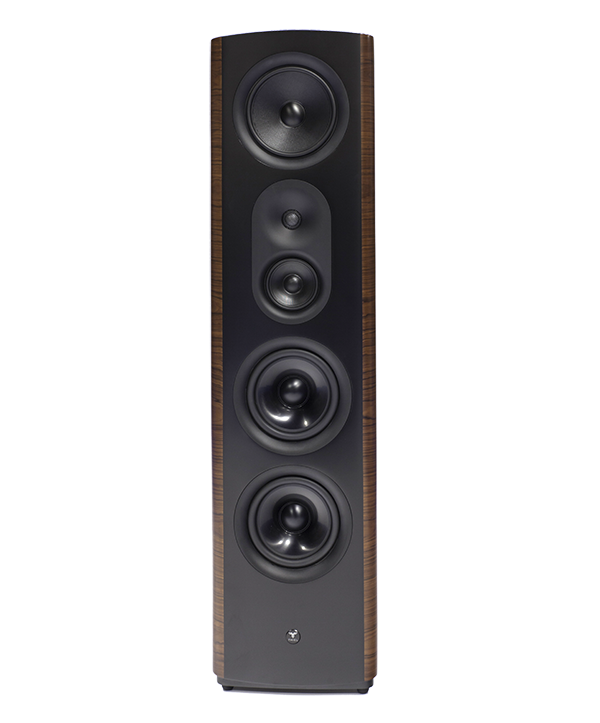 And Aurora speakers are referred to as Aurora by Thiel series. This differentiates it from the Legacy Series of audiophile targeted products, and yet ties it in with the overall Thiel brand. And it is no longer a studio – it is now “first and foremost” the Thiel showroom, and, secondarily, it will be offered for rental as a local event space. Although not specifically articulated by McKenna, we know this – she seems focused on the Aurora series products as the future of the company – and this is where future developement efforts will continue. This appears to be the new Thiel, offering products for today’s consumer. But what about decades of fans of the legacy Thiel products? McKenna says the company remains committed to the Legacy products. Legacy, she told us, will stay in the line, but now as a custom, build-to-order line of products…inventory will not be maintained. The company will also continue with their service facility in Lexington, Kentucky to support all legacy Thiel products in the market. Notably, McKenna would not commit to future investment in building new Legacy-type audiophile models. For the immediate future, McKenna says the company will sell products online in a D2C (direct to consumers) push at ThielAudio.com exclusively. Then, in the near future, they will expand into other e-commerce properties, such as Amazon.com and other online partners. Eventually, they will offer their lines to select retailers in local markets. But for the foreseeable future, distribution will be online only. McKenna told us the team is working on improving execution, such as building in seasonal promotions and the such. The company offers a 30-day money back guarantee on all products sold through their website. So who is managing the product development plan? New products come from the company’s engineering team, McKenna told us. The engineering team and the marketing team meet regularly to discuss product ideas, with technology feedback from the engineering side, and consumer requests and market trends information from the marketing team. Collectively, the product plan is managed this way, although maintaining the plan is the responsibility of Dennis Crossan, Thiel’s Director of Engineering. Although there was a pretty substantial layoff earlier this year, McKenna tells us her team has been right-sized with an e-commerce team and marketing team in place. Not only are they in place, but she feels comfortable that there is a good ability for the existing team to “scale” as sales grow. Her most immediate team includes Kat Aroca, Director of Marketing, and Allison McCowan, Sales and Marketing Manager. As the company continues to grow, and new channels are pursued, then McKenna will add to her team then. See more on the new Thiel Audio by visiting: www.thielaudio.com.